The cornerstone of any good fitness plan is getting your diet right, and to do that, the first thing you need to do is to determine what your daily calorie needs are. 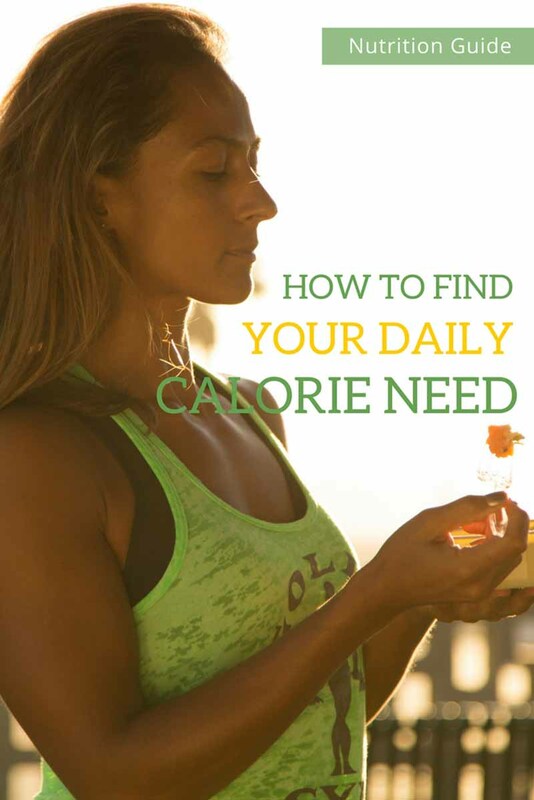 There are a lot of different online calculators you can use to find your daily calorie need. Some of them are ok, but most of them oversimplify the calculation by only using your age, weight, and gender. If you are a fitness nerd like me, you will probably want to know the correct scientific way of calculating what your daily calorie needs are. It’s a very easy 5-step process. I have used my own data in the example below to show you how I work out what my daily calorie needs are. Step 1: Find your body weight in kilograms (if you live in the US, just divide your weight in pounds by 2.2 to get your weight in kilograms). Step 2: Multiply your weight in kilograms by 0.9 if you are a woman or 1.0 if you are a man. This number is called your Basal Metabolic Rate (BMR). It’s how many calories you would burn in a day if you just lay on the couch all day and did nothing. To find out how many calories you actually burn in a day, you need to multiply with your “Activity Modifier” from the table below. As you can see, calculating your daily calorie needs is actually pretty simple, as long as you know your body fat percentage. Most gyms should be able to measure that for you, or a trainer can give you a very good estimate just by looking. You can also use a tape measure and this online calculator to estimate your body fat percentage. It’s not as accurate, but you really only need an approximate number, so it should be good enough. The main mistake people make when using this calculation is to overestimate their activity level. Even though I live a very active lifestyle and work out almost every day, I still only use the “Light Activity” multiplier. And that may even be on the high side because I also spend a lot (too much) time in front of a computer. The higher multipliers are for people who use their bodies almost constantly throughout the day, like construction workers, pro athletes, etc. 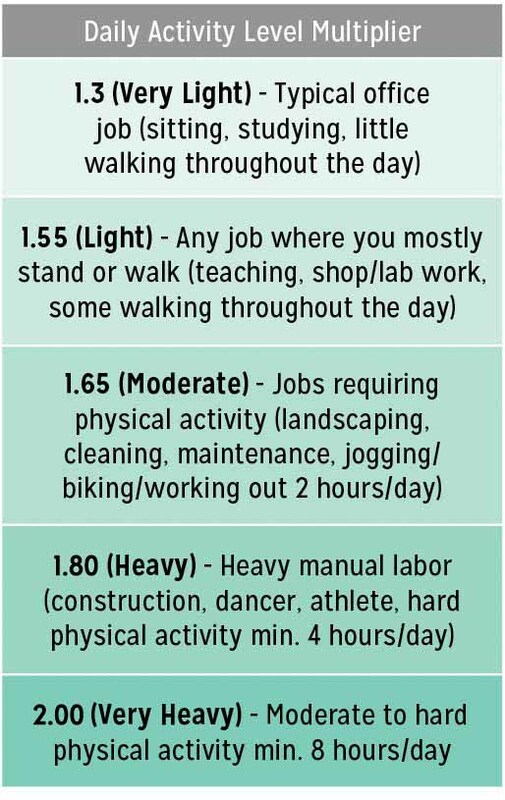 If you are pretty fit and active, you should probably use the “Light” or “Very Light” multiplier. If you are just starting a fitness program, use the “Very Light” multiplier. Now that you know how many calories you burn in a day, the next step is to decide if you want to lose or gain weight. If you are trying to lose weight, I recommend you eat around 400-500 calories less than you burn each day. That should lead to a weight loss of about 1 lbs. per week, which is a very healthy and sustainable rate. If you want to gain muscle, start out at 500 calories/day more than you burn and see what happens. If you find that you are also putting on a little too much fat, decrease your calories slightly. To make sure that you reach your daily calorie targets, it’s a good idea to follow a meal plan. You can either create your own or simply pick one from my meal plan library. Good luck with your fitness program! If you need a little more help working out your daily calorie needs or anything else, you can always contact me for online training and meal plans. The first step is to check your diet and see if you’re actually eating that low-calories. That means weighing everything out, also the sips and nibbles. If you’re already doing that I’d recommend a few things. Hi Christel, sorry. May I know the name of the equation being used to calculate the daily calorie intake? Hi Victor, this is the method used by the International Sports Science Association. There are other ways to calculate daily calorie needs, but we think this is the most accurate method that’s still relatively easy to do yourself. what you are referring to is called “spot reduction” and is unfortunately not possible. You’ll have to reduce your overall body fat and fat accumulated over the chest will also come down. If you have a lot and not much fat other places you can also talk with your doctor and get an assessment of your hormone levels (estrogen specifically). Hey, this maybe sounds like a dumb question… but what if I want to loose fat and build some muscles at the same time? Should I decrease or increase my Calorie intake? Or should I just leave it at what my body can burn in a day? Just for reference, I do a approximately 30-40 Minute workout every day my body doesnt ache (since I’m just getting started and trying to figure out stuff that means about 2-3 times a week right now). I’m a Type 1 diabetic fighting belly fat , I take 30 units of Toujeo morning and night , and 10-12 units of NovoRapid whenever I eat , or when necessary I will take a smaller dose . I walk daily and eat pretty well but cannot seem to lose any weight , I’m 5’10 and 205 lbs need to lose at least 20 lbs but nothing seems to work . My doctors , yes doctors , have me pegged at a 1.5 diabetic whose blood sugar rarely goes low , in fact I can go 24 hours without eating and still be high or normal blood sugar levels . I’m told insulin makes you store fat yet my doctors tell me in increase my insulin and lose weight which is nearly impossible , any suggestions ? Insulin in itself will not make you gain weight (then all people who inject insulin would be overweight). Being in a calorie surplus and taking your insulin will however make you gain weight. I’ve found that injecting insulin can make it harder to lose weight but with a consistent calorie deficit and good blood glucose management it can definitely be done. If you’re not losing weight I’d suggest you track all calories for a while (including liquid), including weekends, and then subtract 200-500 daily. Be very diligent with managing your blood sugars and utilize exercise to help reduce BG levels when you can. Hi there. I work in an office so I am sitting mostly during the day. I do however go to the gym (HIIT workout) four times a week for 45mins each, walk/bike around after work. To calculate my daily calorie intake, what active level am I at? I would use the lowest and see how that works out. I always find that the higher activity levels work best for people who have active jobs. Just wondering what scientific rational you use to base these calculations on? Hi James, this is the method used by the International Sports Science Association. There are other ways to calculate daily calorie needs, but we think this is the most accurate method that’s still relatively easy to do yourself. Just wondering when I should be taking insulin for these meals? Should it be every 2nd meal? Also what is the time frame/gap between each meal? I am on a pen injected insulin and not s pump and don’t want to overlap my insulin. Should I take insulin at breakfast, lunch, and dinner and simply eat the other meals without taking insulin? Thanks again btw, extremely helpful diet plan that comes from a diabetic themselves! I can tell you what I do. I take insulin whenever I need (unless I’m running low or have too much insulin on board already). The goal is to match your insulin with your food and hormones so that you stay in range. So if you stay in range without insulin, then don’t dose. If you’re taking insulin for breakfast, lunch and dinner, what “other meals” do you have exactly? So, glad I came across your website! I’ve found a lot of useful information already to incorporate into my lifestyle for sustainable weight loss. My problem area however, is my stomach. Do you have any suggestions for a T1 diabetic that is on an insulin pump on good ways to loss belly fat? 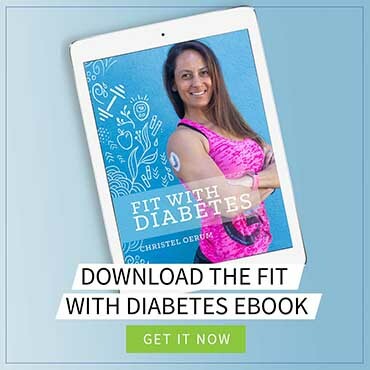 I am a type one diabetic and am browsing the site and this is great information and is helping me build a great food plan. However, I did have a question. I noticed that on this plan, there are carbs at every meal. I am trying to lose weight in a healthy way (which is why I am loving the information) and I was just curious as to why? I know for no/very low carb I can do Keto, but I want to ensure I am doing a life style change that will work for me. 🙂 Thank you! Decreasing your calories By 400-500 would put me at 1500 to lose that pound per week I eat more than this already and I am losing that pound. Also to lose the 2lbs I would be at 1,000 calories per day which for women is dangerous. Of to see what’s on the menu in the diet plan as I’m always looking for new things as I’m type 2 diabetic. I’m exploring the website and love all the info! I have a question about this daily calorie need. I am quite overweight and I want to lose weight, but according to this sum I should eat about 3400 cal a day! That can’t be right, can it? Do you recommend another way to find out how much I need? You might need to track your food for a few days to figure out what your baseline is. It can be quite an eye-opening exercise. My favourite tool for tracking is MyFitnesPal. If you find that you’re consuming 3000 calories, I’d not suggest you go up in calories but rather “clean’ up the ones you’re eating and start with a 200-500 calorie reduction. Love this! First time reader. 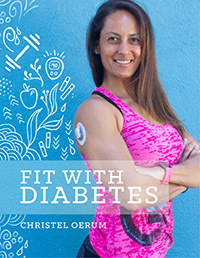 I am a type 1 diabetic for almost 27 years. I have been doing a exercise boot camp for 9 months now and my sugar keeps dropping about 1/2 hour in to the boot camp. I haven’t really exercised that much in past years until recently(13+ years of not really exercising). The boot camp is 60 minutes long. 3 days a week. I also do indoor cycling 3 days for 45-60 minutes. And I do personal training 2 days a week for 60 minutes. And I take care of my special needs 12 year old son. My sugar only drops only during boot camp. I don’t know what else to try. I have tried everything my doctor has suggested to try to keep my sugar up during boot camps. I have lost 34lbs since January and still have roughly 50more pounds to lose to get to healthy weight. And my insulin sensitivity has changed drastically. Food intake seems to be part of my struggle. I weigh roughly 206. Hello, I am a new reader and love your blog! I am a T1 diabetic on a pump trying to lose weight, for the first time I think it is actually possible. My endo wants me to log my diet in My Fitness Pal. It says my calories should be 1200 a day. I calculated using your method and it was 2200 before subtracting 500 for weight loss. I am confused. I dont think I can change the calories in My Fitness Pal, plus that is a big calorie difference. Thanks in advance. Hi Dayna – You can change the calories and macro goals in MFP. It’s easier if you do it from your computer though. Quick question regarding calorie count. Fitness apps such MyFitnessPal increase your overall caloric and macro nutrient needs/goals through the day when exercise is entered into their equation. Considering this post and contrary to these apps, should a calculated 1450 kcal/day value remain the same [and not increase] regardless of bouts of physical activity? Calories burned (including exercise) is included in the formula already. In general, I recommend that you don’t rely too much on your fitness trackers calories burned. I like my fitness tracker but also know that it’s highly inaccurate. It’s a great reminder to get your steps in, and very useful if you do HR training but I would count on it for more than that. 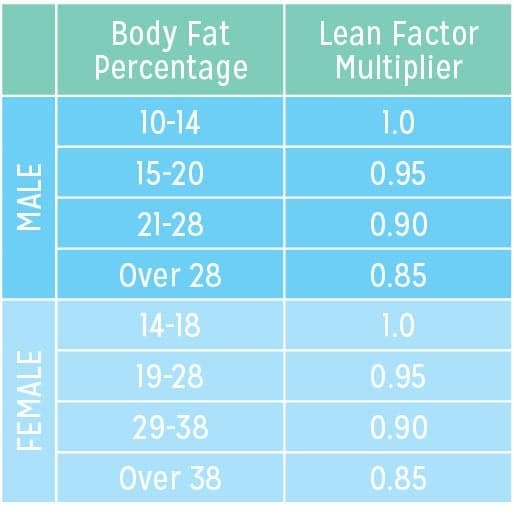 How do I get my body fat percentage? Your local gym should be able to help you. You can also buy some fairly accurate measuring equipment on Amazon. Hi, what if I’m already at a pretty good body fat percentage and I just want to try and lose a little body fat, not lose weight. I also don’t want to lose muscle so would I still drop the calories 4-500? I would recommend that you aim for a 200 calorie deficit and add more cardio to your workout routine (if you aren’t doing a lot already). Then re-evaluate after 2 weeks when you see what results you have been getting. If you just want to lose a little weight and aren’t in a hurry, starting with a small calorie deficit is generally a good idea. You can always increase it later if you have to. I’m a new reader and loving your blog!! How do work outs factor in to this equation? The “activity” level doesn’t count for actual work outs right? For example I run approx 50 miles a week and do 3 weight tough lifting sessions a week. Without workouts I burn about 1,500 a day. How would I figure out what my real needs may be after workouts are figured in if I want to lose 5-7 lbs? Thanks! The activity level does account for workouts. I recommend using the “light” or even “very light” activity multiplier, even though you work out a lot. The higher multipliers are mostly for people who are constantly active throughout the day. If your BMR is 1,500, your daily maintenance calories are approx. 2,325 (1,500 x 1.55). Since you are trying to lose weight, I would suggest you eat 500 calories/day less than that, so about 1,800 calories/day. That should give you a moderate and sustainable weight loss. If you are in a hurry, you can go down to 1,600 calories/day but I wouldn’t go lower than that.